I've been playing videogames for quite a long time. At first, it was nothing more than getting a game, beating said game, and then moving on to the next one. As I grew to understand and appreciate games as more than just things to pass the time, I started to pay attention to the storylines, the universes, and the backstories that were presented to me. It would be nearly impossible to list all of the games that exist with amazing worlds and stories, but out of all of them, none come even close to the world -- the universe -- created in The Legend of Zelda: Ocarina of Time. The Zelda series is arguably the most recognizable group of games in the history of the industry, and I personally attribute that fame to the unfathomable amount of information and backstory present in and outside of each experience. bout. While Ocarina of Time (OoT for the sake of this blog) isn't my favorite game in the series anymore -- The Wind Waker has that title right now -- it's impossible to argue that it has the most realistic and expansive world of any game Zelda game. One of the reasons for this is because it has the most well-known version of Hyrule, Link's and Zelda's turf. OoT was the first completely 3D Zelda and left the biggest visual impact of any game of its time. While Hyrule seems to change with each game in the series, most players can still recall the locations of every rock, tree, secret grotto and Gossip Stone in the OoT Hyrule because there was nothing else like it before 1998. I remember getting to Hyrule for the first time, watching the scene as the camera showed me Hyrule Field in its entirety and I made my way to the market. The hustle and bustle of people running their errands every day, being able to talk to each and every one of them -- It was truly magical. 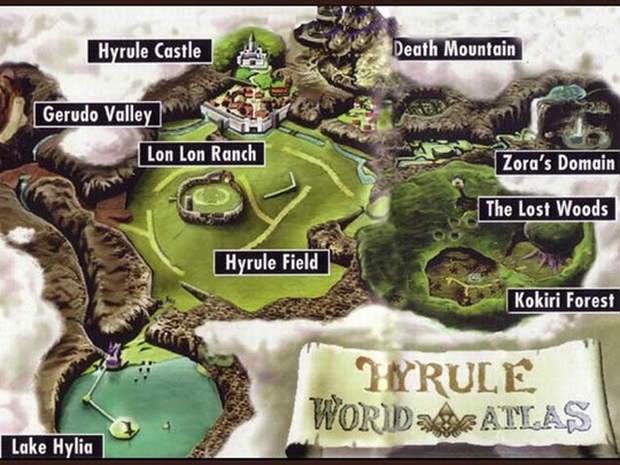 The awesome thing about Hyrule is that I can honestly see a place like it existing in our world. It's not just some fantasy, flashy place like you'd find in the Star Wars universe. It's meant to look like the real world, and Miyamoto achieved that goal in a way no one would have expected without actually seeing it first. Speaking of things based on reality, have you ever noticed the voices chanting in the background as you play through the Fire Temple? It's not just gibberish that's being spouted -- It's actually Arabic. 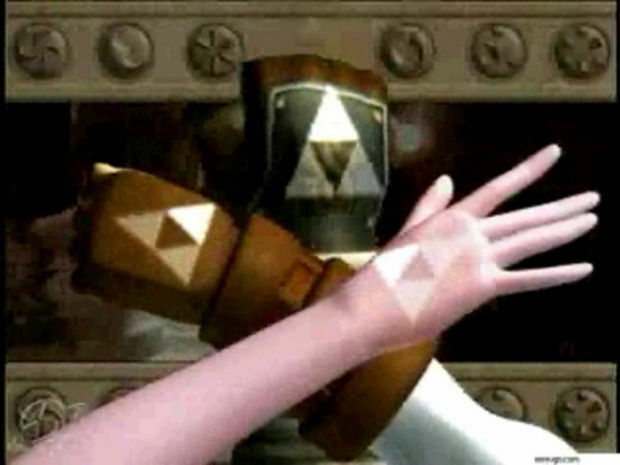 Nintendo wanted to make each and every part of their game feel as real as they possibly could, and the Fire Temple was no different. It was designed to be a religious place, and words that (I believe) roughly translate to something like "God is Good" can be heard in Arabic as you wander the halls, giving off an authentic Muslim Temple feel. The thing that I love the most about this is that Nintendo didn't even have to use a real-world language -- Hylian was already well-established, and they could have just used that, seeing as how they could have made it mean anything they wanted it to mean. But they chose to use a language that actually exists, and to make the voices speak of an actual Holy figure. Why not talk about the Golden Goddesses, Din, Farore and Nayru? 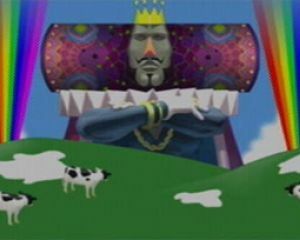 Nintendo chose to put a reference to God in the game, yet again linking it to our own world and the beliefs of many of the players, rather than just the beliefs of the characters in the game. Eventually the Muslim community complained that the chanting was in the game, and it had to be removed, along with the original Mirror Shield crescent moon design, which is also an Islamic symbol. The only way to see either one of these things now is by playing the original OoT Version 1.0, which amounts to all of the gold cartridges and only the very first gray ones. The reason I personally believe the world of OoT is more important than any other Zelda world is because of the way it all comes together in the end. Actually, I guess splits apart would be a better term. At the end of the game, Link is sent back in time to relive his lost childhood, yet everything that he did as an adult remains the same. The time line actually splits, leading to two sequels: The Wind Waker and Twilight Princess. That means the Hyrule that we explore in OoT is the same Hyrule in both sequels, existing in two different places in time simultaneously. Every time I read about this my mind is completely blown. Being able to build such a vast universe that it can actually span the next two games in the series is an amazing feat to shoot for, let alone actually accomplish, but that's exactly what happened. Not only that, but the universe is different all three times its shown, yet it always remains the same in spirit. OoT was an absolutely enormous game in its own right, but three huge games? Much more than expected, yet done in such a way that doesn't make it overkill. Hyrule's creation was executed masterfully. 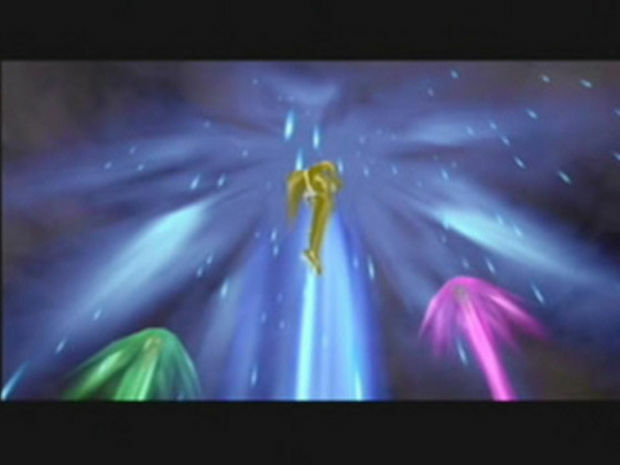 The implementation of the split time line has actually sparked an unusually large amount of debate among the larger fans of the Zelda series, many of whom believe it doesn't actually exist. (It was confirmed by one of the designers of Twilight Princess that it does in fact exist, but I'm not going to get into that here.) While a lot of people may think that these fans (me being one of them) just have way too much time on their hands, I personally think it's awesome that so many players have gotten into the story on a level that deep. The Zelda expanded universe is one of the largest in the videogame world, and OoT was the game that started all the debates and talks. I love the fact that something as "simple" as a videogame could make such a strong cultural impact. Never in my life have I been immersed in an artificial world more deeply than that of Ocarina of Time, probably because it doesn't really seem artificial. Whenever I play that game, I always feel like I'm actually a part of the world, rather than just looking from the outside in. It takes what is essentially just a fun game at its core, meant to be played and enjoyed, and turns it into an actual escape from reality, if only for just a little bit. That much attention paid to detail and realism, to real-world references in a fantasy setting, is unlike anything else I've ever experienced, especially back when the game was originally released. To this day I can still recall every nook and cranny of that world, and no other game has ever had that kind of an impact on me. That's what creating an immersive experience is about.